I’m a Jersey Girl. I’ve never lived anywhere else, and like most New Jerseyians, I feel like my state is one of the best. With so much to see and do here in Jersey, there is always someplace new to explore with our families. Whether you are looking for a mountain escape, city living, beach front getaway, or country living, we’ve got it all and we have four beautiful seasons to enjoy it in. Oh, and one of the best parts of coming to Jersey? You don’t have to pump your own gas! I’m so proud that this week, Trekaroo turned New Jersey Orange on her map! As part of our New Jersey launch, we bring you lots of giveaways, a chance to win NJ Jersey Rewards for writing reviews ($20 Amazon gift card) and the best tips on exploring New Jersey with kids. 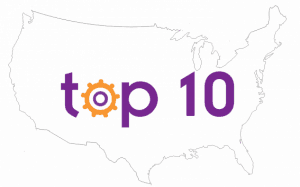 Starting with our top 10 things to do for families in the garden state. Thrill seekers from all over the country come to New Jersey in seek of one ride: Kingda Ka. The world’s tallest roller coaster makes its home at Six Flags Great Adventure. If you aren’t keen on such high stakes, there are rides throughout the park for all levels of thrill. Wild Safari and Hurricane Harbor are two additional parks you can explore nearby. For an amusement park that is a little lower key, try visiting Land of Make Believe where you can enjoy attractions and a water park. If you ask my family for our favorite amusement park, we will point you in the direction of Storybook Land. 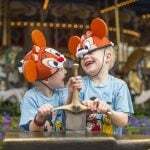 Storybook Land is just the right size for kids to have fun and not fall down exhausted. 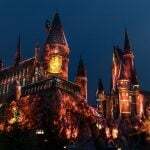 It is clean and shady, you can bring in your own picnic lunch, and they have fun special events such as Alice in Wonderland Tea Party, Christmas in July, and trick-or-treating. After all that excitement you may need a place to rest your head. New Jersey isn’t called the Garden State for nothing! Although the state fruit is the blueberry, Jersey is also among the top producers of cranberries, producing the third largest harvest in the country. With crops like these, you need to celebrate with a festival! Each June you can attend the Red, White and Blueberry Festival, while each fall you can check out the Chatsworth Cranberry Festival. If you’d like to get in on the fun, take the family to a farm that allows you to pick your own harvest. 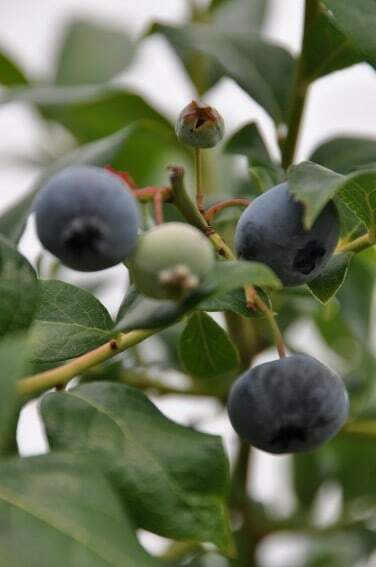 You can pick your own blueberries during the summer at Emery’s Berry Farm, which is a certified organic farm. At Eastmont Orchards, you can pick peaches in the summer and apples and pumpkins in the fall. If you’d like to pick your entire dinner than DeWolf’s or Hallocks is for you. You can even pick your own flowers at Terhune Orchards. Check out this list for more U-Pick Farms in New Jersey. Liberty Science Center is the perfect museum for the entire family. The museum features many hands-on exhibits which keep the kids interested and entertained as they are learning. If you enjoy the experience of the IMAX theater, be sure to check out the schedule and consider purchasing a combo exhibit/movie pass. While there, take a moment to take in the views of nearby Statue of Liberty. The state’s largest museum, the Newark Museum, features 80 galleries, with several kid-friendly galleries that offer hands-on exploration. There is also a planetarium where the entire family can enjoy learning about the stars, planets and space exploration. The New Jersey State Museum offers a great look at New Jersey, both past, and present. The museum also features a planetarium with family-oriented shows. The Morris Museum offers a variety of collections ranging from fine art to science to dolls and toys. They also offer a variety of programming and events for the entire family throughout the year. Have little ones? 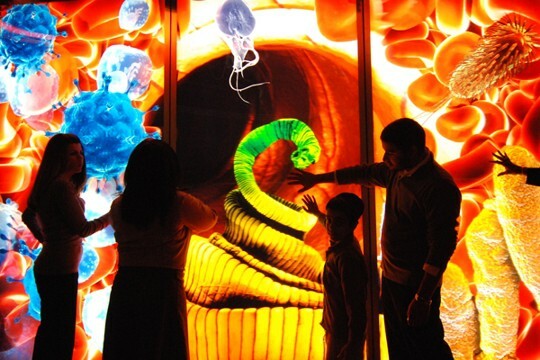 Check out these hands-on Children’s Museums. Take in views of Philadelphia while enjoying family fun along the Camden riverfront. 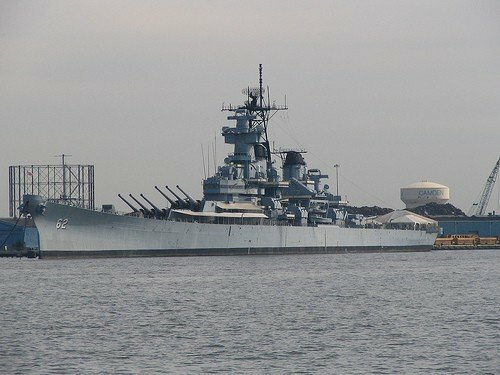 At the Battleship New Jersey, America’s most decorated battleship, your family can climb aboard for a tour or even sign up for an overnight encampment! Another family favorite is the Adventure Aquarium. Your family will enjoy viewing many creatures from the sea and learn from the interactive exhibits and touch tanks. Kids 6 and under will especially like the Kids Zone where they can experience interactive exhibits, touch different animals, and have an area to get their wiggles out. You can even swim with the sharks!! Next door to the aquarium is the Camden Children’s Garden. This garden is specially designed with children in mind and features fun themed gardens in their four acres of property. Take a train ride, a spin on the carousel, or enjoy some of the special events held at the garden. While you are in town why not see if the Camden Riversharks are playing? This Minor League Baseball team offers a fun and affordable way for families to enjoy America’s past time. Stadium seating includes a family zone as well as a peanut free suite. Leave your own review and help point Trekaroo families in the direction of family fun. 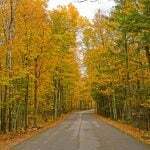 The Delaware Water Gap National Recreation Area is a playground for the outdoor enthusiast. The Gap itself, found between Mt. Minsi in Pennsylvania and Mt. 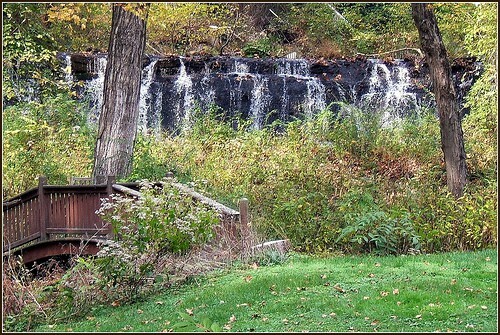 Tammany in New Jersey, makes for a stunning view and offers plenty to do. At the Kittatinny Point Visitor Center, you can get information from a park ranger, launch your canoe, or picnic while taking in views of the river and Gap. Within the park, you can paddle or raft down the river, hike various trails, and fish. If you’d like to stay the night, you can pitch your tent at Worthington State Forest. Millbrook Village is a re-created village within the park that demonstrates life from 1850-1900. The best time to visit the village is during the summer when the buildings are open to tour and events and activities are held. As part of the National Park Service, kids can take part in the Junior Ranger Program and participate in learning programs. The parks service also offers many family programs. Find other places to explore in the Skylands Region. 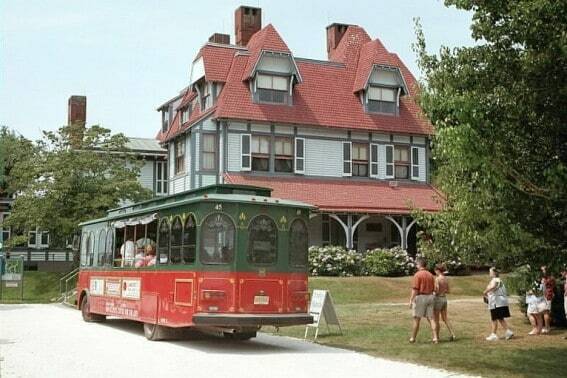 New Jersey is filled with wonderful historic villages that take you back to early times. The Historic Village of Allaire, located within Allaire State Park, takes you back to the early 19th-century iron producing community. When touring the village, be sure to stop in the bakery for a yummy treat. Inside Wharton State Forest, Batsto Village gives you a glimpse of a bog iron and glass making community that was founded in 1766. Historic Cold Spring Village offers an interpretive tour of South Jersey from the late 1700’s – mid-1800’s and the Historic Longstreet Farm provides farmhouse tours and a look at the agricultural ways of the 1890’s. If you time your visit right you can witness sheep being shorn and the kids can try their hand at milking a cow! Fosterfields Living History Farm is a working farm that takes you back to the Victorian Era. What is your favorite historical spot? Leave your review and share your experience with other Trekaroo families! At the southern tip of New Jersey, you will find beautiful Cape May County. Cape May is one of the best areas in North America to view wildlife, particularly birds. At Cape May Bird Observatory guests can take weekly bird walks, boat rides and participate in educational programs to help learn about and spot a large variety of birds. Cape May Point State Park offers up a variety of family fun including hiking, birding, searching for Cape May Diamonds, interpretive programs, and climbing the Cape May Lighthouse for spectacular views of the area. The Cape May Zoo is free family fun and a spot everyone can enjoy. Outside the zoo is a nice playground and picnic area to help you make a day of your visit. The Victorian town of Cape May has a charm all its own and browsing through the Washington Street Mall and hopping aboard a trolley tour should be on your list of things to do while there. Check out this sample itinerary to help you plan out your vacation. Lighthouses have been a staple along the coasts for hundreds of years, shining their beacon of light to protect and guide sailors. If you have never had the chance to climb one, you are missing out on some phenomenal views and local history. There are 24 lighthouses in New Jersey and 11 are open to the public to visit. Sandy Hook Lighthouse is the oldest operating lighthouse in the country and the Navesink Lighthouse is unique because of its twin lights (which is the more commonly known name for it). 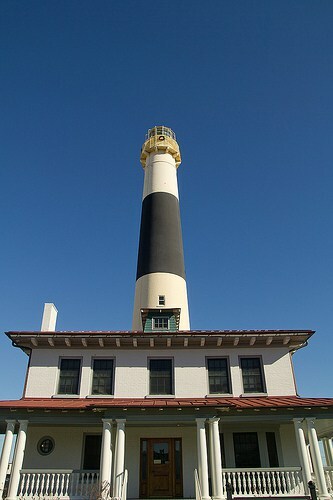 The tallest lighthouse in the state is Absecon Lighthouse– you can reach the top in just 228 steps! Each October you can participate in the Lighthouse Challenge of New Jersey; try to visit all of the lighthouses in one weekend to help raise funds for their preservation. Explore all 11 Lighthouses in New Jersey open for visits. The Atlantic City Boardwalk is the oldest and longest boardwalk in the country and boasts museums, monuments, restaurants, shops, and casinos, making it the perfect spot to explore. Families love to venture out onto Steel Pier to ride the rides. 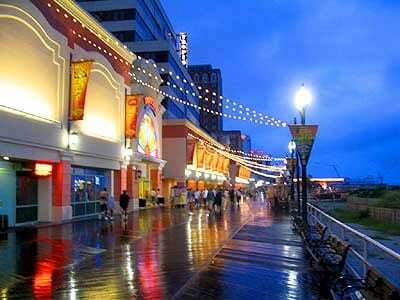 Other family-friendly boardwalks include Seaside Heights, which features rides on Casino Pier, and fun arcades such as Casino Arcade. 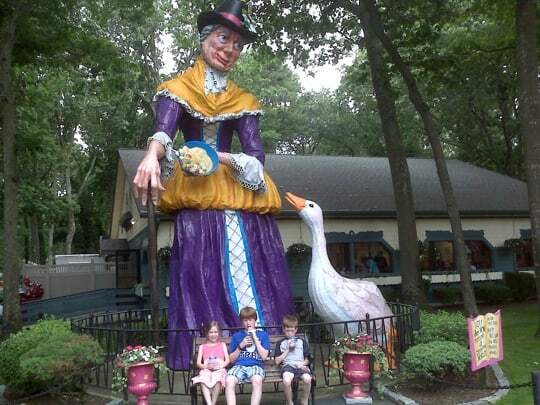 Jenkinson’s Boardwalk in Point Pleasant not only has rides, fireworks, and family events but an aquarium as well. Ocean City Boardwalk features family nights, and Wildwood Boardwalk, which has a great Doo-Wop charm, has Morey’s Pier to play on. Looking for a place to sleep in Atlantic City? Book your room here. 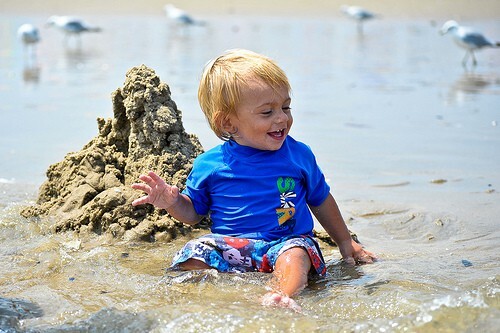 With 133 miles of beaches in New Jersey, you and your family are sure to find one you love. If you are looking for beautiful, unspoiled beaches in a natural setting then you may want to take the family to Island Beach State Park. 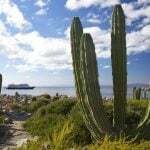 In addition to the beaches, you can find trails, wildlife, and an interpretive center. Another gem is Sandy Hook. Again, not only do you have the beaches to enjoy, you have trails to explore and a lighthouse to climb. If you are looking for a quiet beach spot you may want to venture to Stone Harbor. After your day at the beach, you can enjoy strolling around the quaint town. Belmar offers the kids a diversion in the form of playgrounds on the beach every few blocks. Of course, if you are looking for all-out family fun, entertainment, and dining while at the beach, revisit the boardwalks above, they offer the best of the ocean’s wonders and man-made fun. Which New Jersey beach is your favorite? Share it with Trekaroo users. 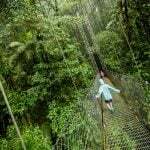 Everything you mention here are interesting to do.Wish to visit the place in the future. I had never thought of lighthouses in NJ. The boardwalks look awesome. So, much to see. I live in New Jersey and as professional photographer. This tip alone “Explore the Delaware Water Gap”, can help you relax from stress. I’ve been there.